In Hyderabad in southern India, I gave two talks to students and research scientists at the NGRI- National Geophysical Institute of India, one of India’s major research centers in multidisciplinary areas of Earth Sciences. They have impressive laboratories and facilities. The NGRI compound is a nice respite from the busy city. 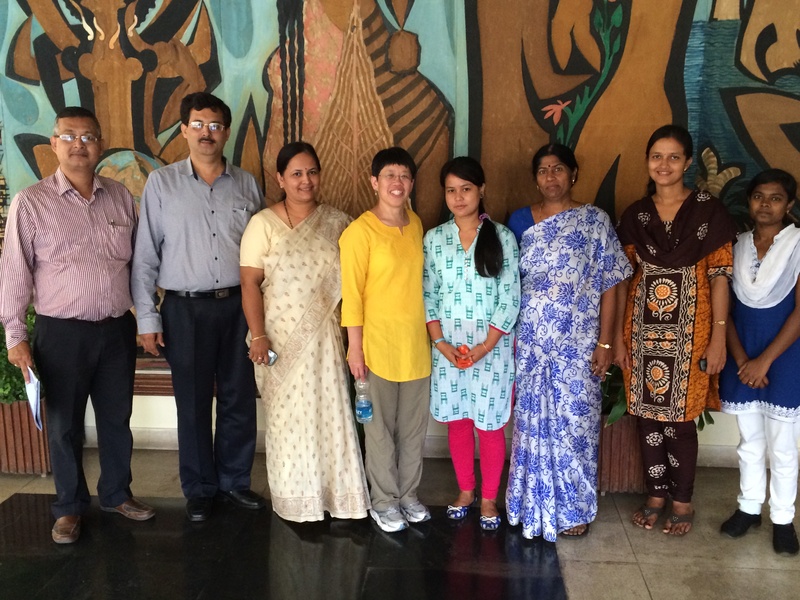 NGRI scientists including my host Dr. Sukanta Roy (specialist in geothermics of climate change) at the far left. Dr. Roy and I had met previously when he was a visiting scientist at the University of Utah in 2006. I am in yellow near the middle. 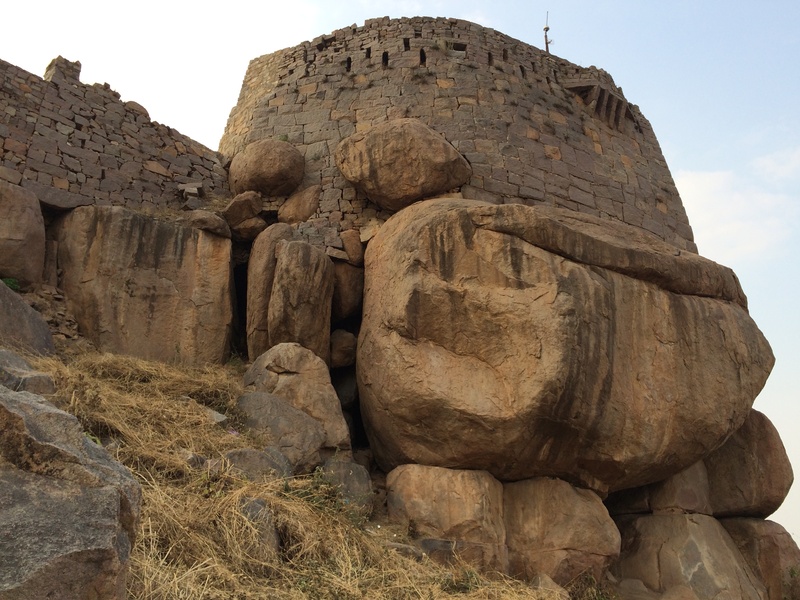 We visited Fort Golconda, a massive fortress built on a granite hill in the 12th century. The enormous fort is a UNESCO World Heritage site, with several mosques in it. 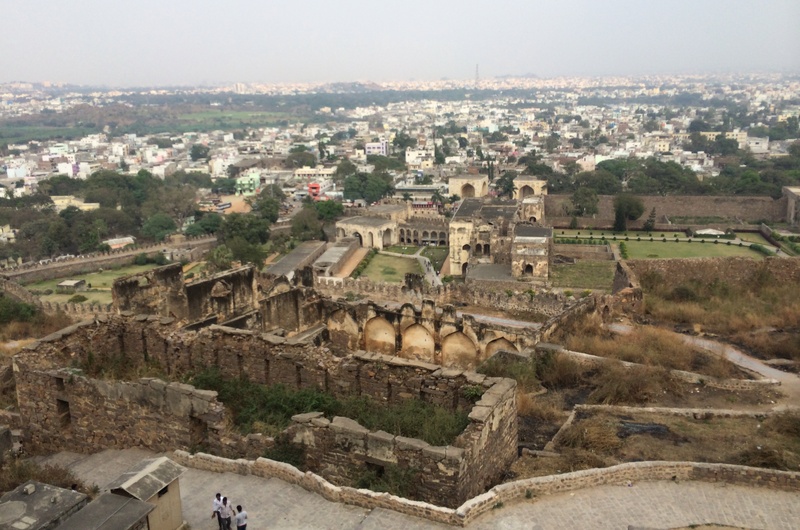 A view of Fort Golconda with the city of Hyderabad in the background. The fort has a 7 km circumference. I was particularly fascinated by the hand cut stone masonry, precisely fit around huge boulders to comprise the thick, impenetrable walls. 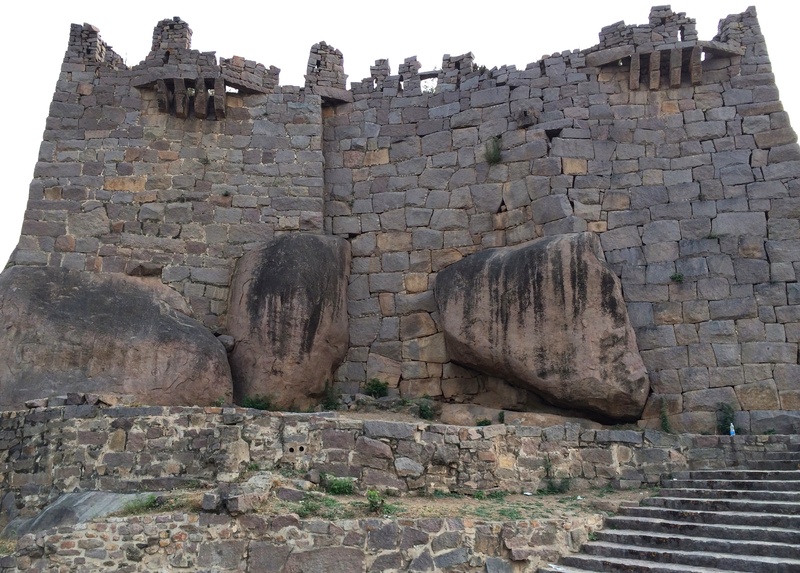 Precisely fit stone masonry blocks surround the buttress boulders in the fortress walls. A major acoustical engineering feat is the signaling system where a hand clap at the dome at the entrance will reverberate up to the hilltop pavilion, the highest point ~ 1 km away to announce visitors or warn the royalty of any attack. Famous diamonds (like the Hope and the Koh-i-Noor Diamonds) were extracted from the Golconda area.